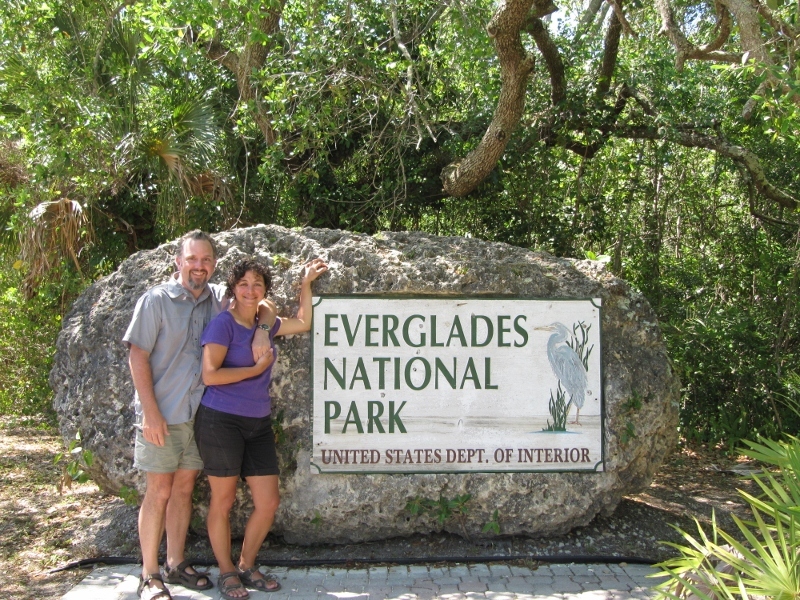 To start with the Everglades was not on our list of stops. 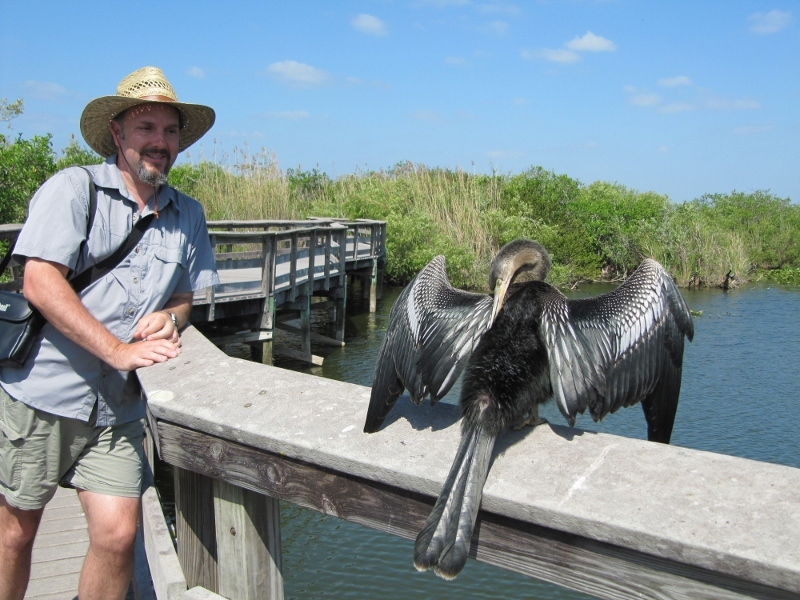 Other travellers strongly recommended visiting Everglades National Park and since there were so many recommendations we decided to give the hot, wet, swampy mosquito infested park a chance. 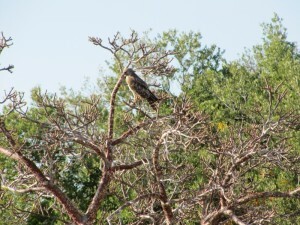 It’s an understatement to say that we were pleasantly surprised. 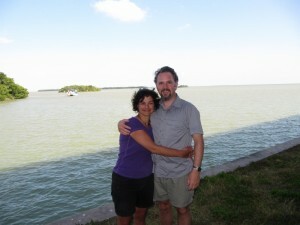 During our stay in March the days were warm (25C) and the nights were cold (15C). 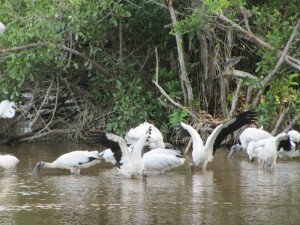 And those hordes of mosquitos? 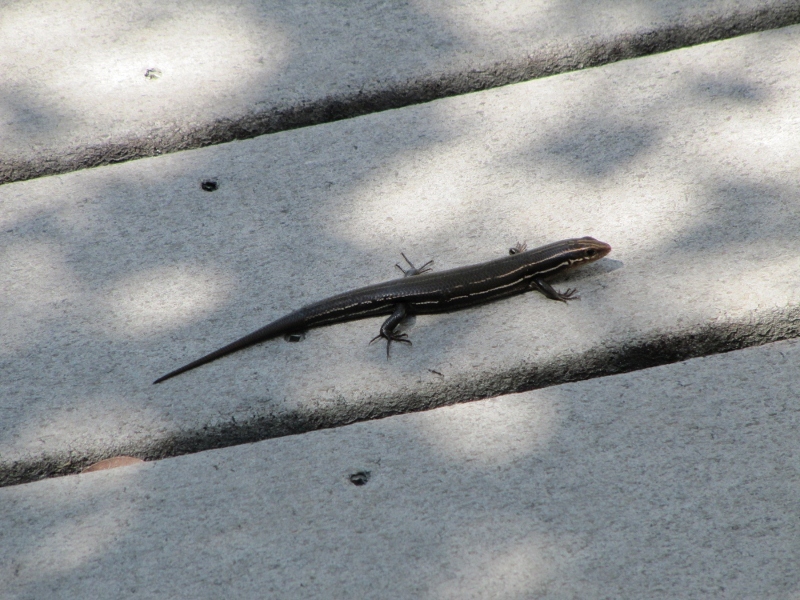 There were none to be found…however there were a few “no-see-ums” (like black flies but much smaller). And we were not prepared for the quantity and the close proximity we found ourselves to the wildlife…birds and alligators alike. Also the Ranger programs are free and include things like interpretive hikes, car caravanning through miles of the everglades, and canoe excursions (they even provide the canoes free). In short Everglades National park is now one of the best wilderness experiences in our life time. Here are some pictures of our time there…. Here we are arriving at Everglades. 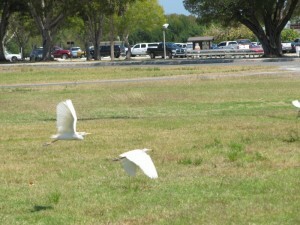 We stayed at Flamingo Campground which is at the southernmost part of the park and is on the shores of Flamingo Bay. 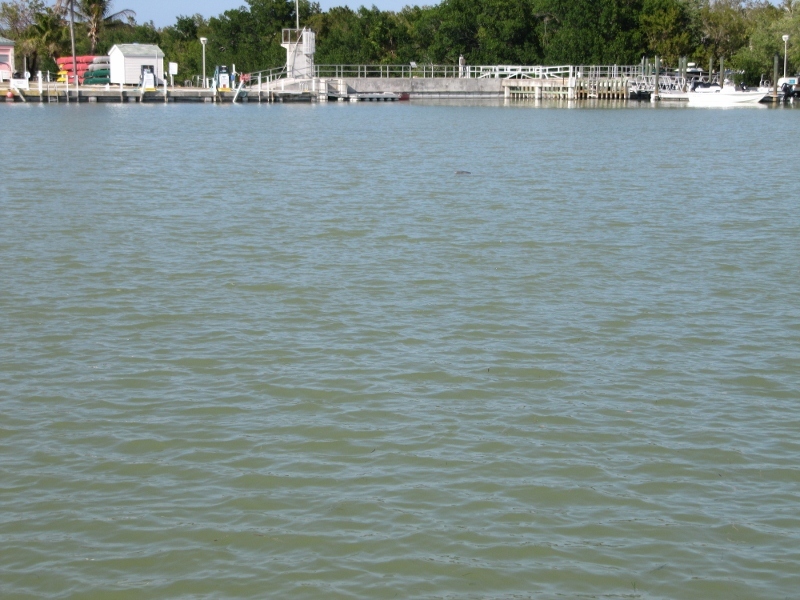 Flamingo Bay is at bottom of Florida and opens south to the Florida Keys. To help get a sense of location, here’s a link to Google Maps showing the campground. 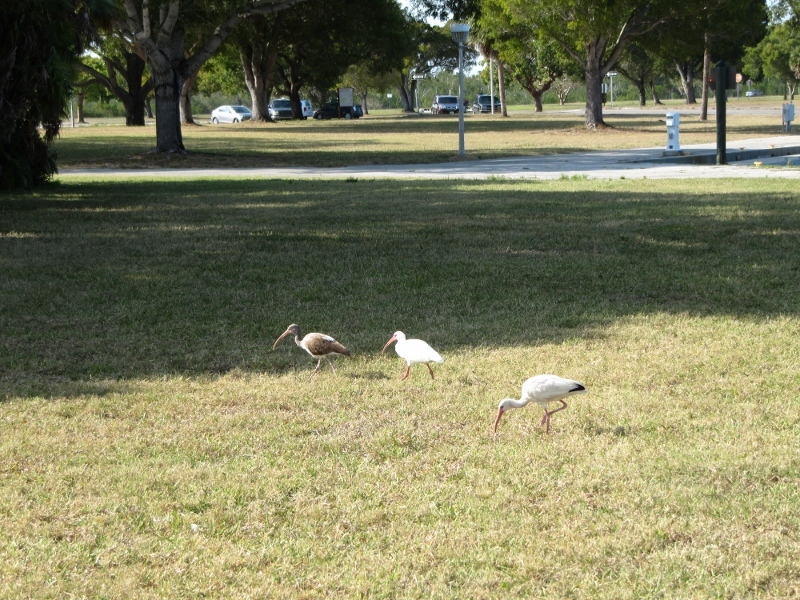 Just arriving in the campground we started to see wildlife everywhere. Sites were also inexpensive and spacious. 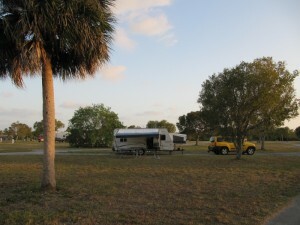 Our electical site cost $30 per night. 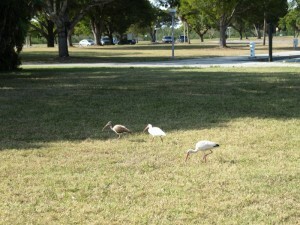 No pigeons here, but plenty of White Ibis (what is the plural of Ibis anyway?). That little bump in there is a Manatee in the marina near our campground. 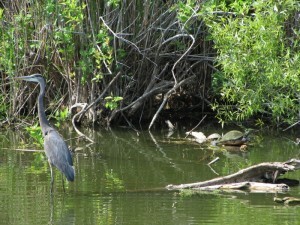 Wildlife is everywhere! Jason found this tropical frog by the bathroom sink. Here's a shot of Marianna working on the budget at the campsite. 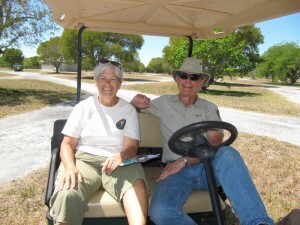 We met plenty of nice people too...like Charlie and Lynda Dunham who volunteer at the park. 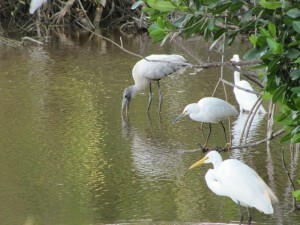 The amount of birds and wildlife we saw in the Everglades was truly amazing. 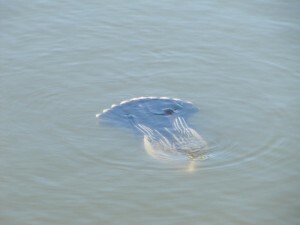 Often we came within feet of them. 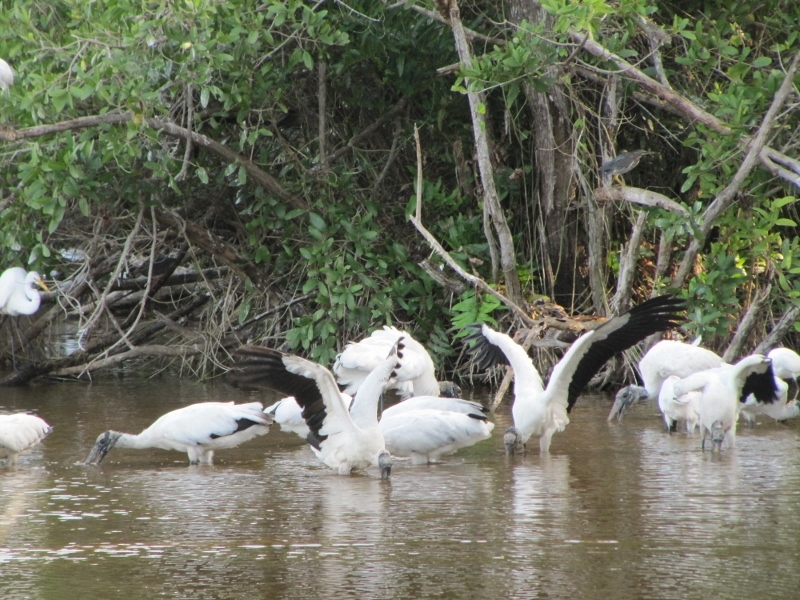 Apparently since we were in the dry season, the fish grouped together in the few remaining watering holes. That made the fish easy targets so there were a number of birds and other wildlife showing up for a fest…we had front row seats to see them all. 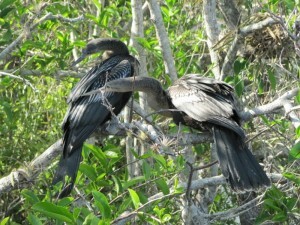 Anhinga swiming underwater to catch fish. 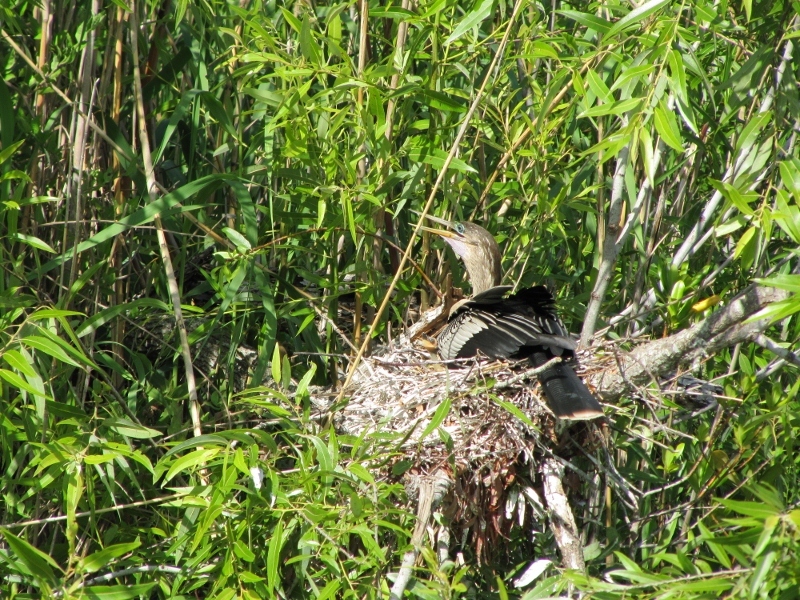 This Anhinga doesn't seem to be too afraid of humans. 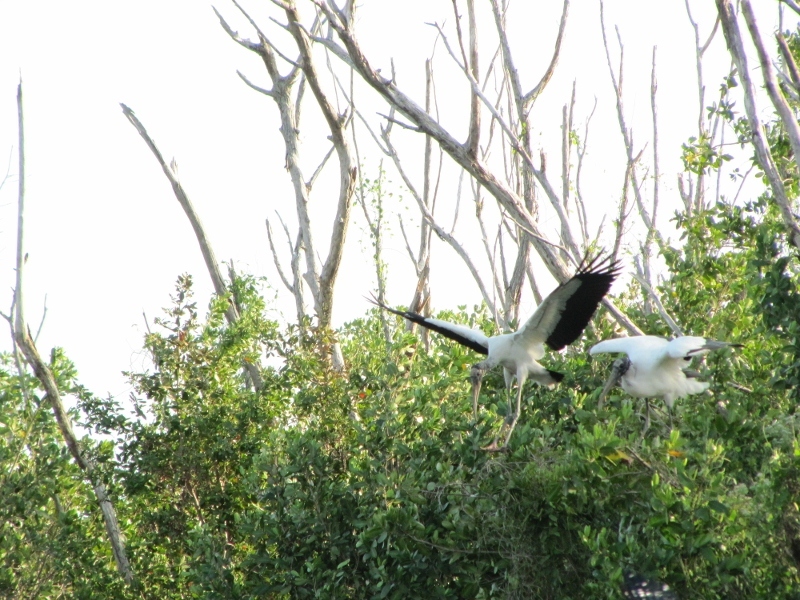 Great view of the Wood Stork's wing span. Wood Stork dives for dinner. 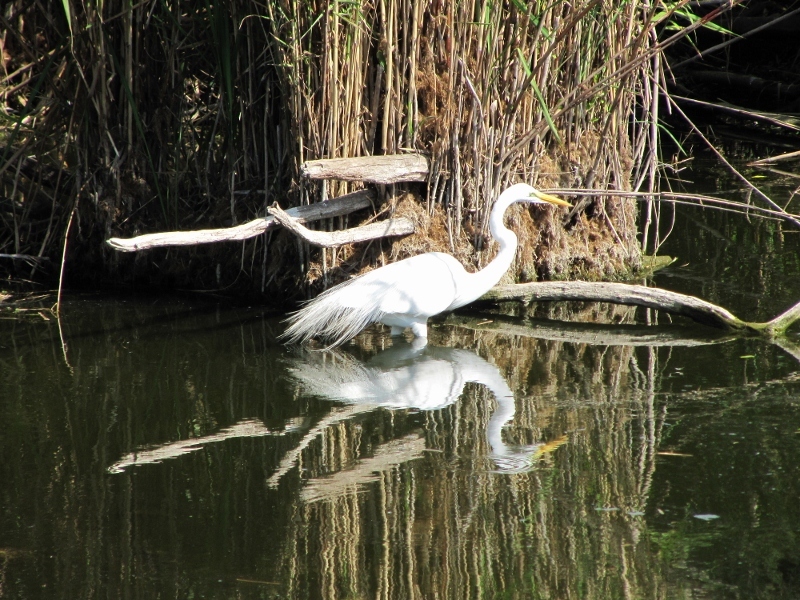 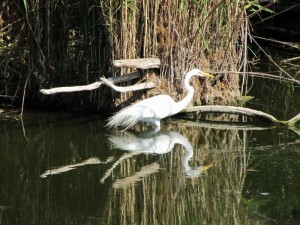 Cool picture of a Great Egret. 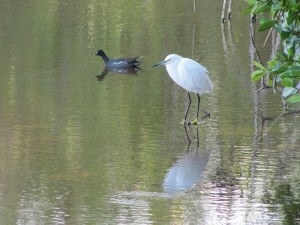 A Snowy Egret and what appears to be a strange duck. 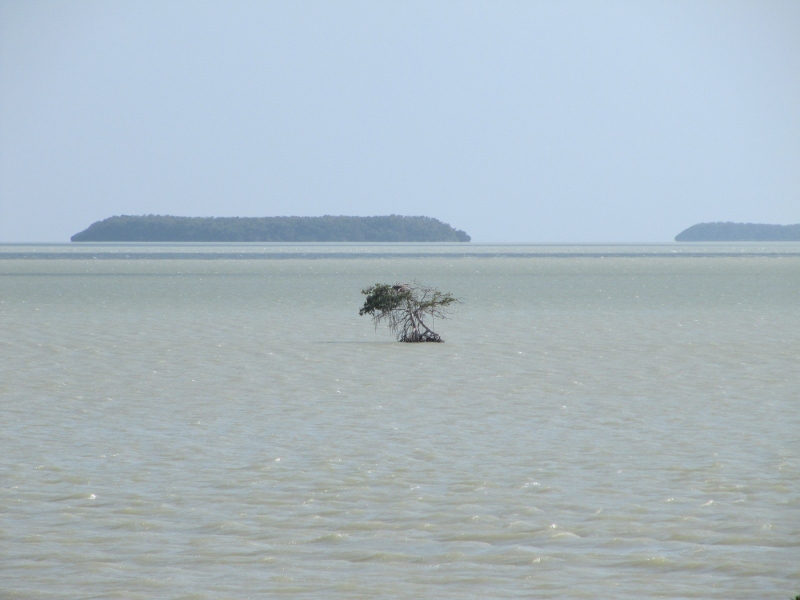 We can't rememebr its name...but it's still cool so we took a picture anyway. Here's a Great Blue Heron. 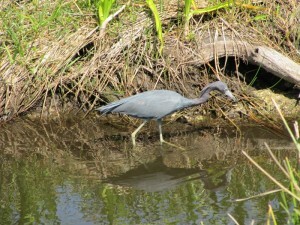 And here's a Little Blue Heron, a smaller type of heron. 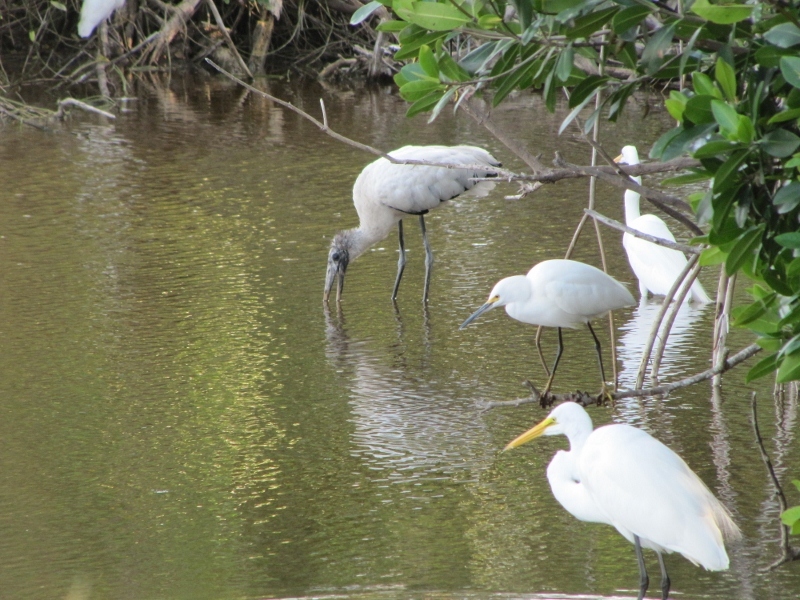 From L to R: Wood Stork, Snowy Egret and Great Egret. 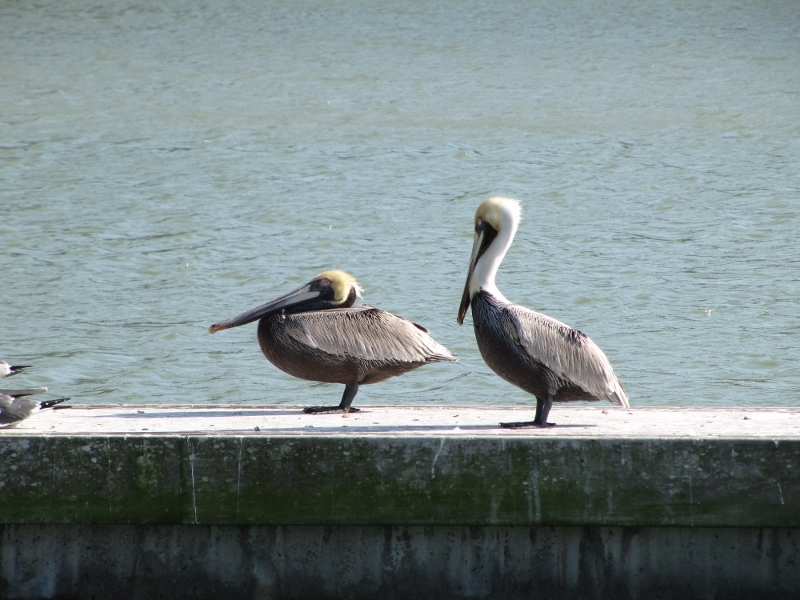 Pelicans relaxing after stealing food from the smaller sea birds. 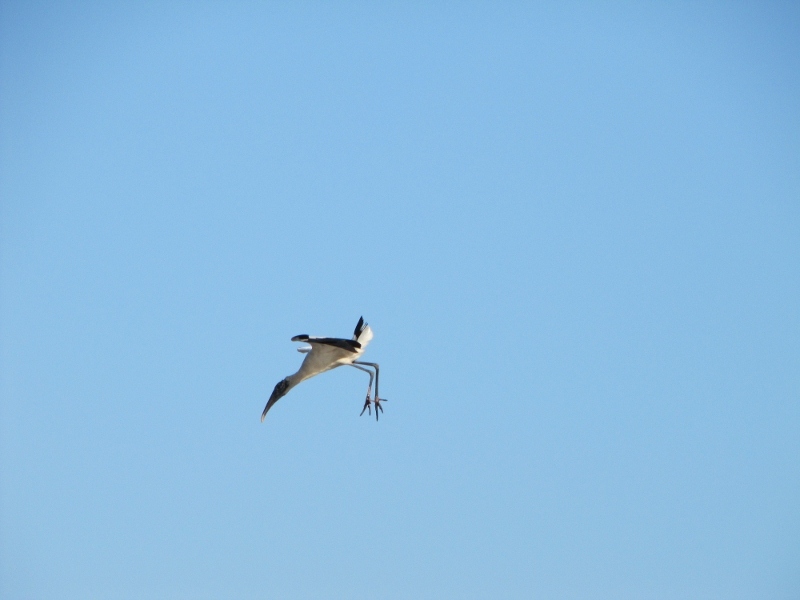 Still have to get a pic of them diving. 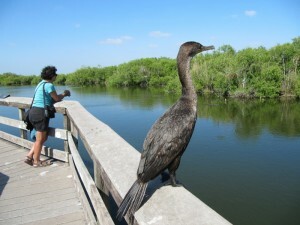 There are Cormorants in the Everglades as well. 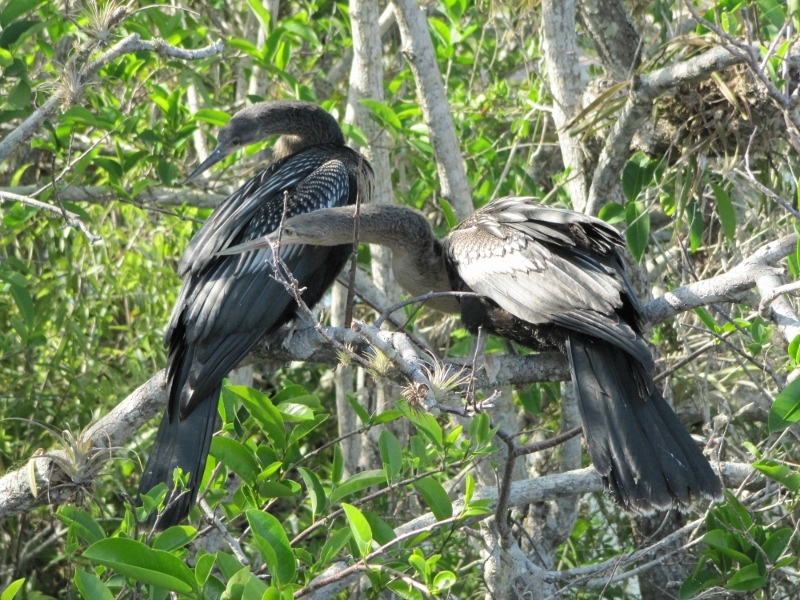 Like Anhingas and Pelicans they fish for their dinner. 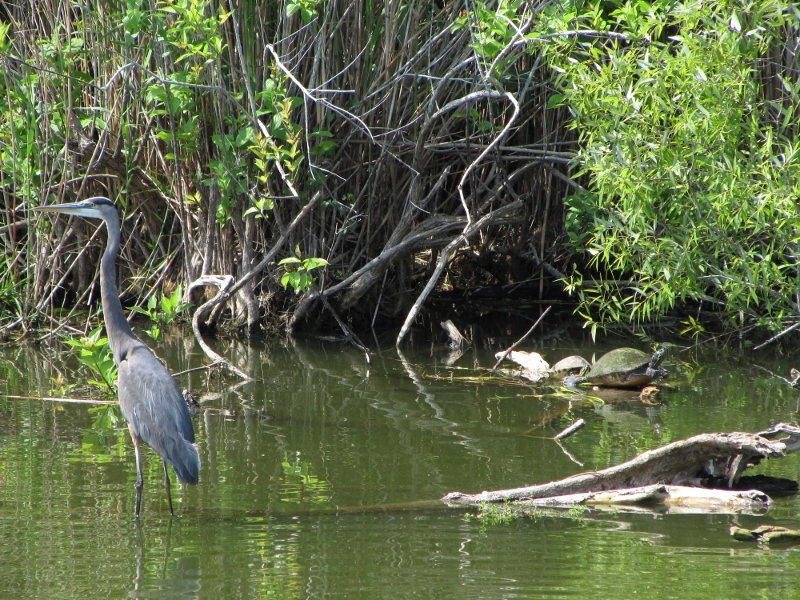 Look - there are Turtles too! Interesting Salamander - they are everywhere. 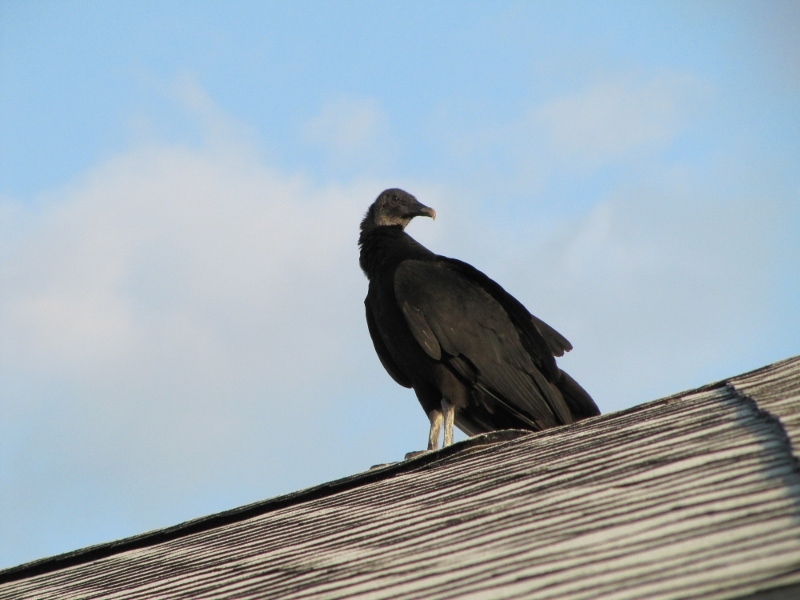 Here's a Black Vulture on the outhouse roof. 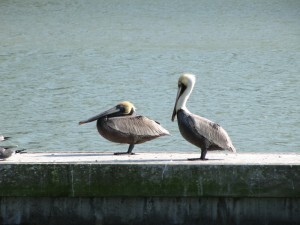 Apparently when it gets hot they will rip into car rubber caulking because these days they have fish oil in it. Haven't run into this anywhere else and thankfully, they didn't touch Wendy or Chuck. 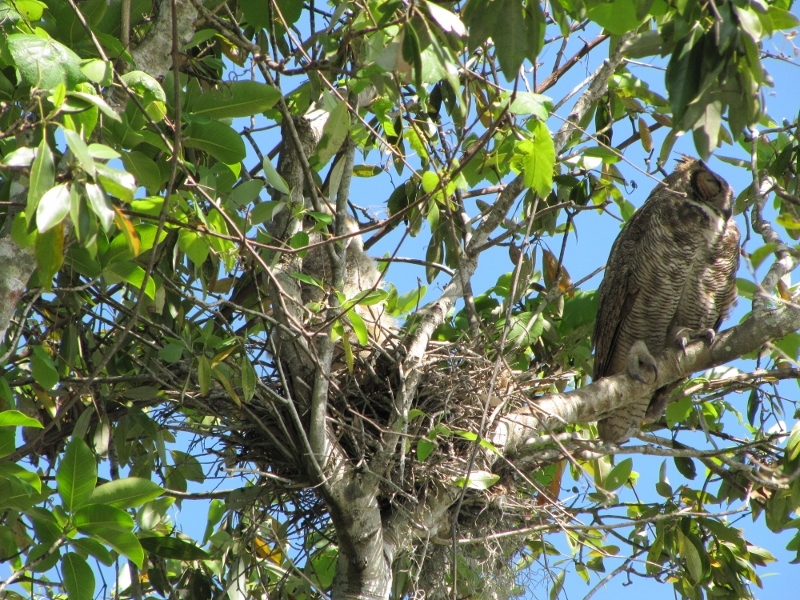 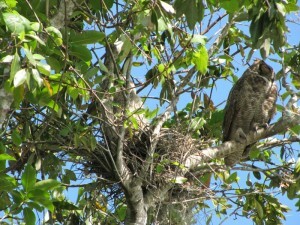 And, here's a Barred Owl with its baby chick on the left. 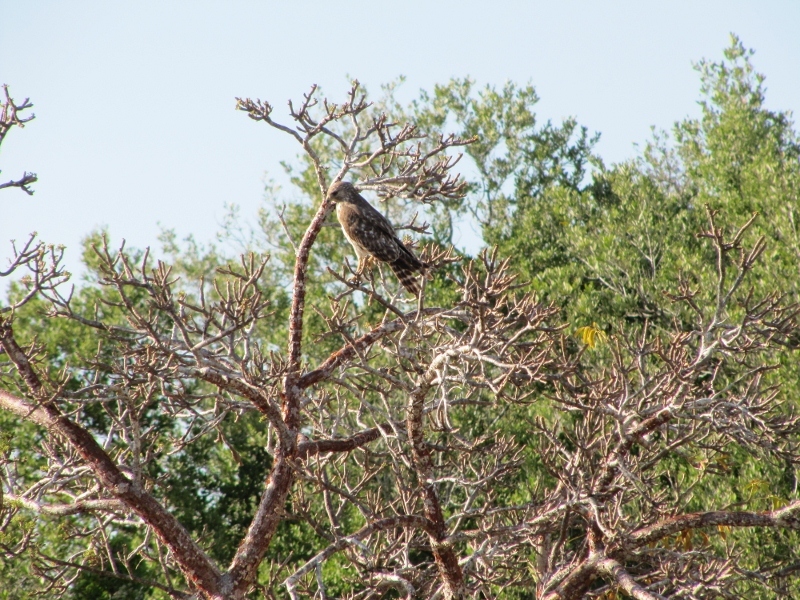 Red Shouldered Hawk flying around our campground catching dinner. 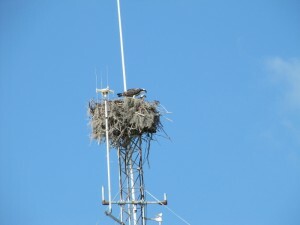 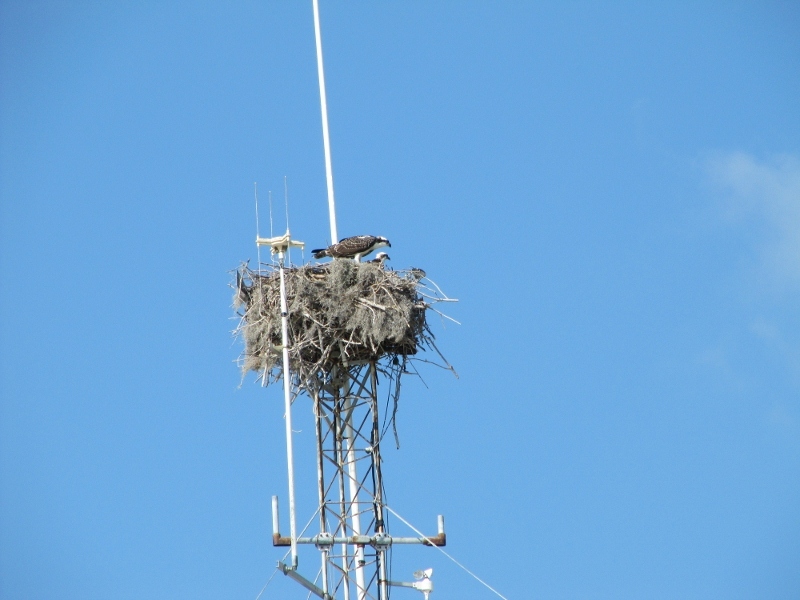 Osprey and its baby chick, very cool. 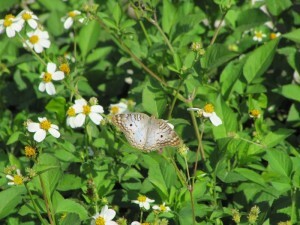 Okay we had to get at least one butterfly pic for Sheryl. 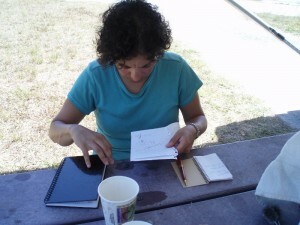 There’s so much to share we can’t cover it all one update. 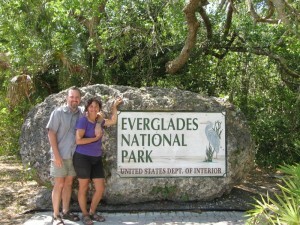 So next up, part two of Everglades National Park – alligators, crocodiles and more! 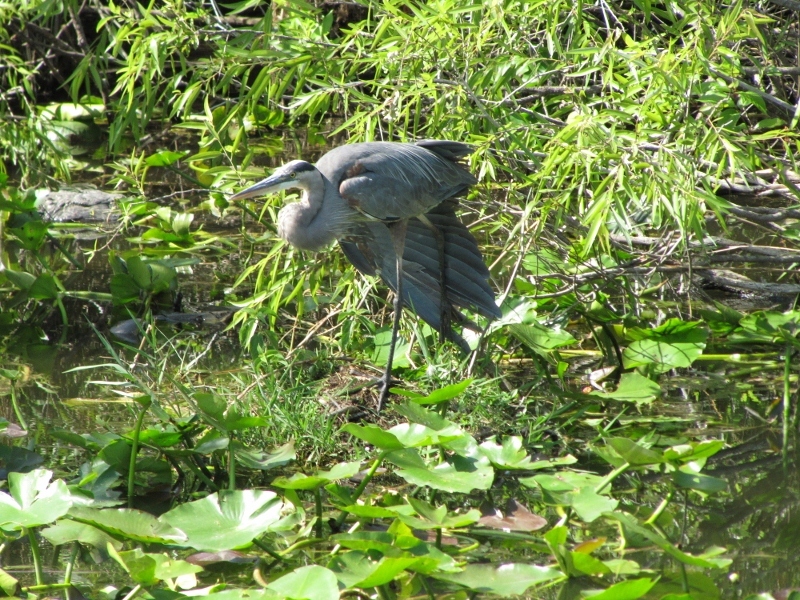 The birds really are so incredible..and your camp site?? 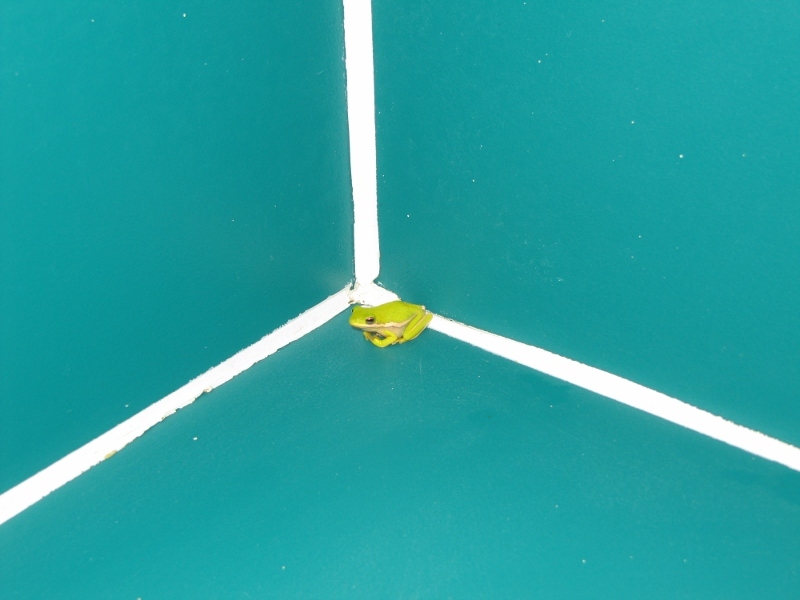 Where is everyone else? 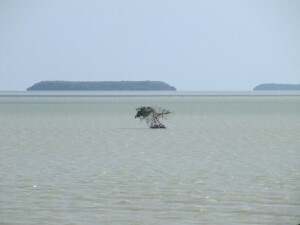 Is it quiet there this time of year?